Micropul is a free strategic game you can print to play. It can be played by one or two players. 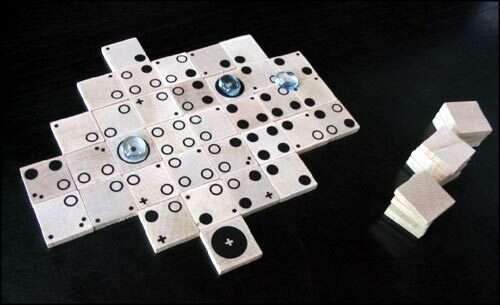 The rules are similar to thoses of Carcassonne - the game : at each turn, players display tiles and markers to score points. Simplicity, Strategy, psychology, surprises make this game one of the best free game we’ve come across. to find the printables tiles and rules : go to the website Micropul.